I love putting educational outreach programs together for the Tulsa Historical Society, whether writing them myself or plugging photos in for another writer. 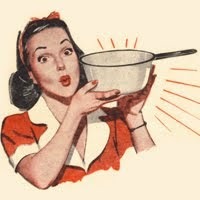 Such was the case when another wonderful volunteer wrote a great presentation about early Tulsa food. 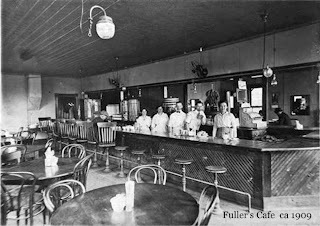 In my photo search, I came across lots and lots of early Tulsa eating spots. More than she would ever be able to use. So, I thought I’d share them here. I’ll call this Part 1 and begin with some of the earliest. It doesn't get much earlier than this, photo-wise. This is L.R. 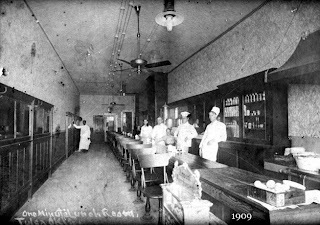 Earlewyne's White Front Restaurant "centrally located near the depot. Besides furnishing square meals, three times a day, he keeps a full line of candies, fruits and confectioneries. His brand of cigars are the very best and those who enjoy a fine Havana, should not pass him by." The Criterion was located at 106 E 3rd Street and had "the best and finest of everything at sensible prices"
Very interesting. 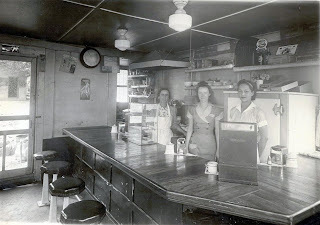 It strikes me how much the interior of restaurants back then look like restaurants now. 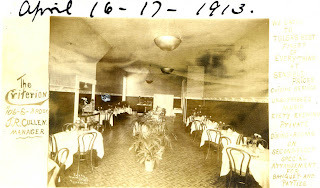 My earliest and most fond memory of a Tulsa restaurant was the Crosstown Grill at 15th and Peoria. Thank you for sharing these very precious photographs. 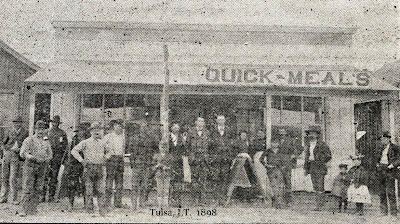 My great-grandparents arrived in Indian Territory in 1888, settling first in Dawson (east Tulsa), then moving to downtown Tulsa around 1892. 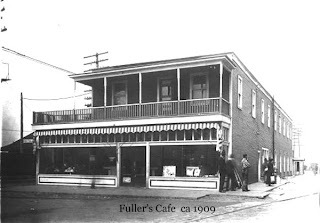 My grandmother was born in the family home at 2nd & Main in 1894. My g-grandfather, John Smith, owned Smith Bros. Coal company; my g-g-grandmother married the Rev. Sylvester Morris in 1894. The oldest house in Tulsa (now at Owens Park) belonged to Rev. Morris and passed to my family at his death in 1907. Several of the photos in the Beryl Ford collection are of my family and once belonged to the family. Thanks so much for sharing George. I find all of this so interesting. You have some very deep Tulsa roots, my friend. The cafe interior picture that couldn't be named, I can tell you. Harry's Cafe. I sat on those stools many times on Saturday afternoon My Dad would take me with him to the Sinclair Research Lab, where he was shop foreman. We would go by to see Harry, which meant I got a piece of pie! Harry gave Dad a job back in the 40's when Dad came to Tulsa. He also gave Dad a cup and saucer from the cafe for a wedding present! It is still in our family. Dad left Sinclair in 1959, so my memory is from @1955. Harry's was built in 1882, was on Historic Register until 1969 when bigger business took it away. 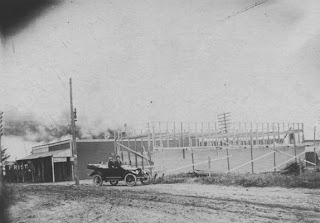 Corner of 101 W. 1st Street. Never thought I would see this place again. 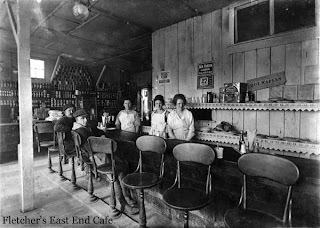 A very small shot of exterior is on Google, under Harry's Cafe Tulsa - Images.